EASY CARE BEDDING: Our bedding is crafted from a super soft microfibre. 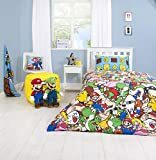 (100% Microfibre) It's easy to wash (40c), quick drying, durable, can be tumble dried on a low heat and requires minimal ironing. 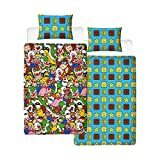 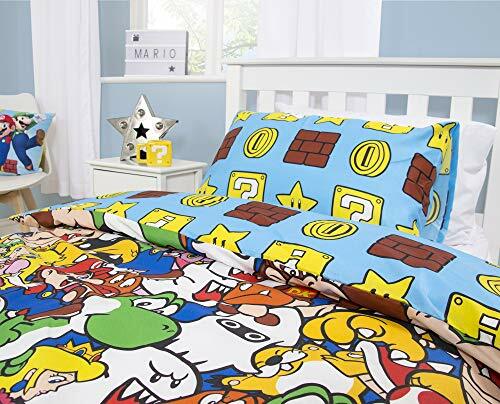 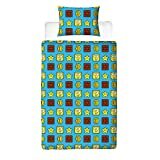 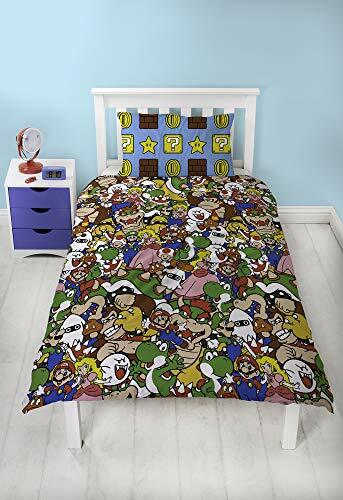 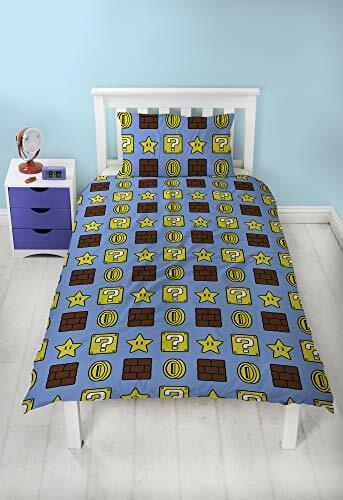 SHOP THE SUPER MARIO COLLECTION: Complete your bedroom with our other Super Mario products - Coordinating bedding and accessories available. 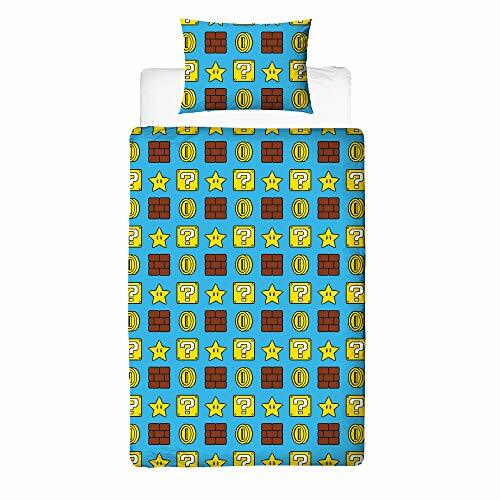 UK BEDDING SIZES: 1 x Single Duvet Cover (135cm x 200cm) and 1 x Pillowcase (48cm x 74cm). 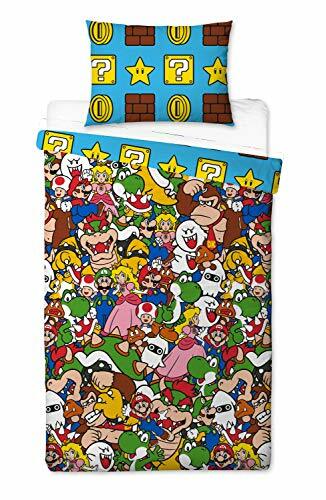 Fantastic Nintendo Super Mario Towel featuring all your favourite characters, The super absorbent towel is perfect for fans to take swimming, to the beach or to use after bath time.